Shudu has now gone from having her Instagram featured by Rihanna's make-up brand Fenty Beauty to being at the centre of a major fashion campaign – all without existing in real life. "To have to compete with literally unreal girls is just really scary – you can shape anything you want and have the exact perfect look without the casting process." "Models in general have it hard enough with how competitive the industry is – models of colour have an extra point to prove and have to work harder." 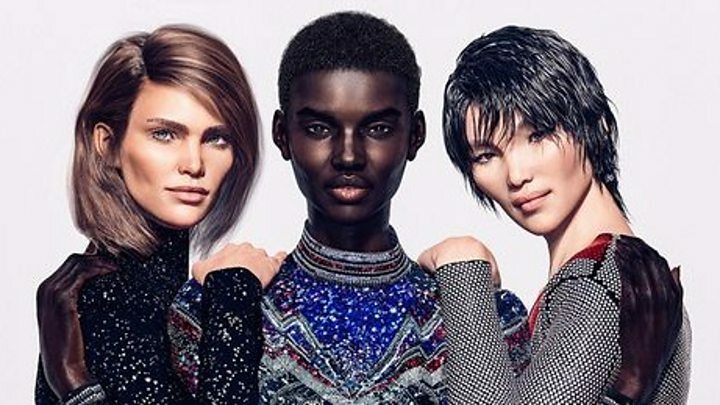 Since the Balmain campaign came out, he's been approached by other brands to possibly create avatars for them – but he doesn't think real models need to worry. Cameron says he's not adverse to criticism – he calls it an "important factor" in his work. "With any new technology there's always a polarised discussion – some people are staunchly against it, and some people embrace it."